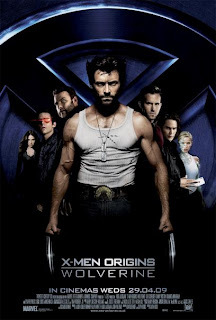 "X-Men Origins: Wolverine" is probably one of the most ill fated films this year. Watching the trailer a few months back, both of us felt that it is going to be a big disapppointment - mostly the big wigs cashing in on the superhero bandwagon again. It did not help that around a month ago, an unfinished version of the film was leaked like hell. Again, the pirates found a way for crying out loud! Spending a lot of money on an ineffective marketing scheme (reminder: this is our opinion only okay?) and then getting their gem stolen is not a good start for this film - echoes of epic fail are already within grasp. Well, we could be wrong and even with all the bad vibes, we are actually quite excited - being X-Men fans ourselves. If you want to find out if another X-Men themed film is worth your time and money, read on after the jump. The film primarily centers on Logan (Hugh Jackman), better known as the Wolverine and tells us his very violent and unknown past. The film starts in the mid-19th Century and ends 20 years before the first X-Men film. During the span of the film, we discover how Wolverine discovered his uncanny power, his enbridled past with his half-brother Victor Creed or Sabretooth (Liev Schreiber), how he was part of a power team called Team X and how he became part of the Weapon X Program. Interestingly, we will also discover how Wolverine lost his memory. Now for our take on the film, all we could say is W-O-W! This is probably one of the best films we have seen this year - that is surprising indeed. They actually found a way to make the very diluted X-Men film series interesting again. The film was action-packed from the get-go and never let up. Amazingly, even with all the fight scenes ongoing, the film was still able to deliver with a well-written plot and contained very interesting twists and turns. The film never bogged down and we did not even yawn once! Our favorite part of "X-Men Origins: Wolverine" is the montage of Wolverine and Sabretooth fighting together in all major U.S. wars since the 19th Century up until the Vietnam War. We had a similar feeling with the wonderfully crafted montage in "Watchmen" and that is saying something. Our advice for the masses is to watch this film legit! It is well-worth your hard-earned cash and won't leave you disappointed - if one film is deserving of your moolah, this is probably it! - we can't think of anything right now - it is that good! Thanks to Azrael Coladilla for the Press Screening tickets. Please visit his blog at Azrael's Merryland. Also do not forget to watch the film on all major theaters around the Metro starting April 30, 2009.